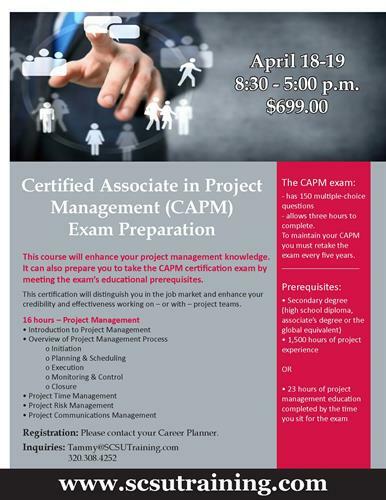 This course will enhance your project management knowledge. It can also prepare you to take the CAPM certification exam by meeting the exam’s educational prerequisites. This certification will distinguish you in the job market and enhance your credibility and effectiveness working on – or with – project teams.